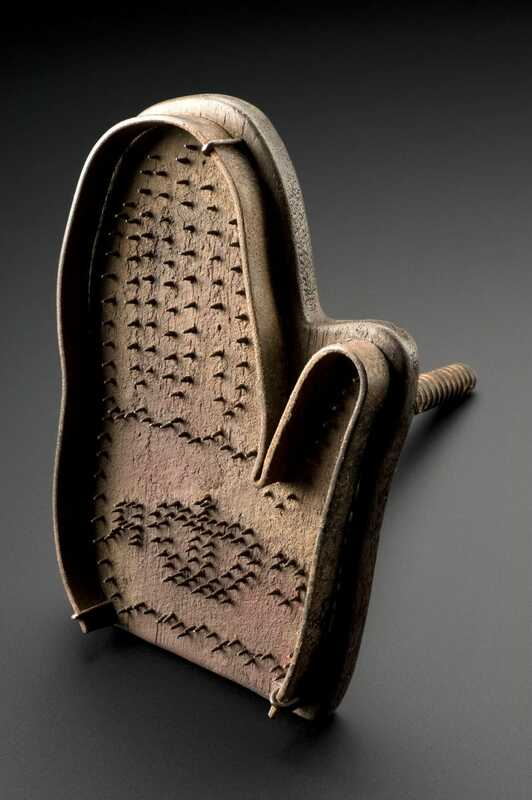 It looks like an iron maiden for your palms, and this painful looking device was meant to leave the hands of criminals with a mark no one would forget. This tool would have been used to mark ‘ownership’ of Royalist army deserters. The metal spikes on the hand are blunt. Perhaps they are dulled through use or perhaps it is deliberate to inflict more pain. However, they were likely heated first to burn the imprint in. Branding was abolished in 1829 with the exception of army deserters. The mark was then tattooed on the body, not branded with irons. The practice was totally abandoned in 1879.